one // I have used Dr. Dennis Gross glow pads for years, and based on glowing reviews (no pun intended), was curious to try these tan-luxe products. I add just a drop or two to my body lotion and face serum and have seen awesome results. 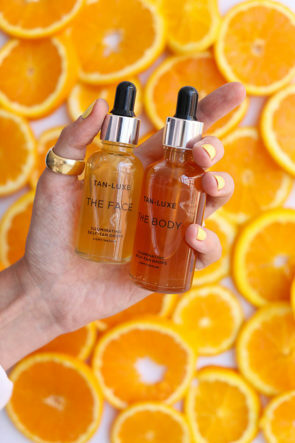 I will admit that the first time I used the face drops, I put about five drops directly on my face, and ended up with a not-so-chic Magda from There’s Something About Mary complexion. So, my advice if you are using these, or any self tanner for the first time, is to take it easy! It’s not a bad idea to try it daily on a small piece of skin (that is not visible) just to see how your skin takes the product. Also, quick tip, self tanners always work best after exfoliation or dry brushing, and they lasts longest if you keep up with daily moisturizing. 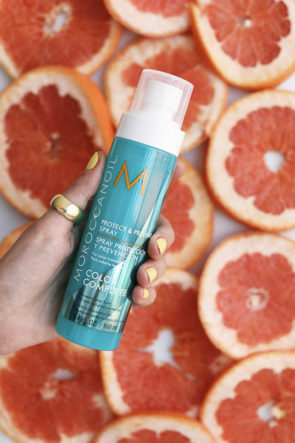 two // Earlier this year I started using Moroccanoil Color Complete products and have loved the results. You can read a bit more about them here! Overall, they have helped to keep my hair healthier and my color more vibrant. Oftentimes, I have a fairly hectic travel schedule, and it is nice knowing that I can also go a bit longer between color appointments when needed! three // I have a few different scents that I love to wear – like this one and this one – but when summer rolls around I’m always looking for a lighter, more refreshing option. 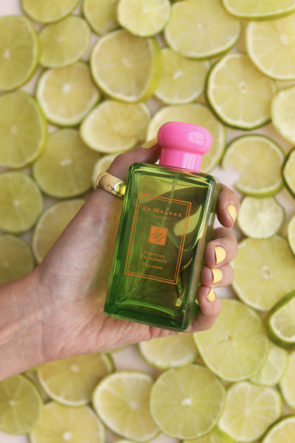 This new Jo Malone perfume has been one of my favorite summer beauty picks of the season! 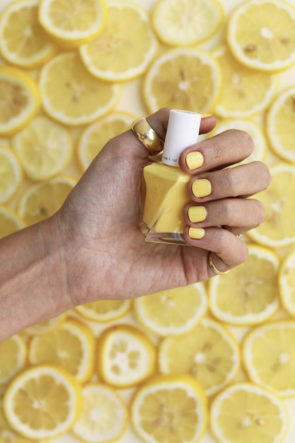 It is packed with citrus notes and something about it just reminds me of sitting on the beach! four // Nail polish has always been one of my favorite beauty products, and each season I add at least four or five new shades to my cabinet. This season’s pick is Essies ‘Avant-Garment’ (coming in stock soon!). It is part of their gel couture 2-step collection, which has been created for long lasting wear. Even if you are not a fan of yellow you should check out the other colors in the line. It has been one of the polishes of mine that lasts and lasts! 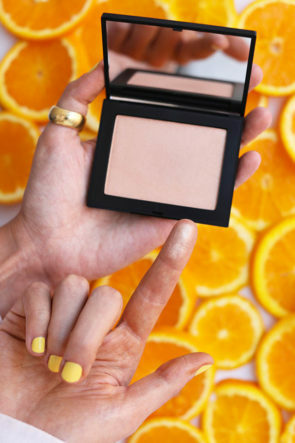 five // Nars knows how to make a great highlighter, and I recently tried out – and loved – ‘Fort De France‘. I still love my Charlotte Tillbury ‘Filmstar Bronze & Glow’ but as I get more tan in the summer months, I don’t need as much of the darker sculpting powder, and prefer a more simple highlighter! And, if you are looking for a highlighter/primer that totally RULES, this one is the best on the market. six // When I am looking for some extra hydrating serum, I have started turning to this product. It is anti-aging (I could use all the anti-aging things right now) and I apply it in the morning before putting on my face lotion, and at night before bed. I love the smooth texture and have noticed such a huge difference in my skin! 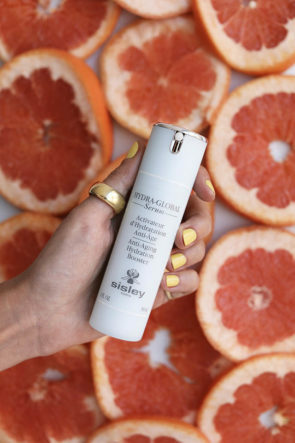 I have always had skin that is on the drier side of the spectrum and am constantly hunting for products that boost hydration. seven // Recently, I decided to switch to natural deodorant and am never going back. 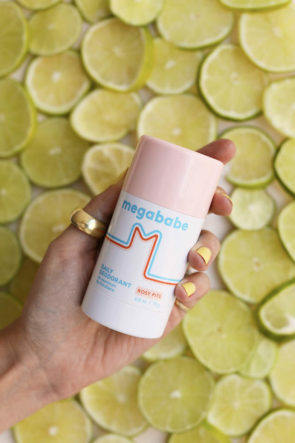 I use Megababe Rosy Pits, and as you may have guessed by the name, it smells just like roses. Heavenly! The application is completely clear, and while I do have to reapply once during the day, it is totally worth it in order to cut out the harmful toxins from traditional deodorants! eight // Unpopular thought I know, but I typically hate face masks. I don’t mind the ones that don’t require rinsing off, such as this one, but most are just too cumbersome. This mask however, as strange as it may sound, is really fun to use – and works! 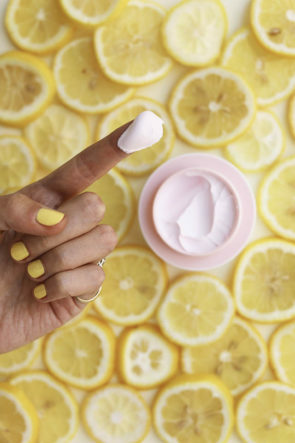 It is a pink color, with a marshmallow-like texture, and feels cool when applied. It is so much easier to rinse off compared to the charcoal masks that I have. Maybe I am just a marketers dream come true (sucker alert), but this mask is one I have been using over and over again. In fact, I am already on my third tub! All these products look stunning for summer. Love this nail polish! All these products look amazing! I love Jo malone’s perfume, i feel like every woman has one scent that’s her favourite from Jo! I can vouch for the new Jo Malone scent, it’s so lovely! Great post! The pink mask sounds amazing, especially with a fluffy texture. I agree that face masks are such drabs to use, but I need to check out yours. I recently sampled that Jo Malone scent in the store and had to go back for it ASAP – it is HEAVENLY! And the first day I wore it to work, my boss went and bought it on her lunch break because she was obsessing over how good I smelled ha! Obsessed with your thumb ring! Possible to ask where it is from?